Are Your Ready to Face the Future with A Smile? Welcome to Chafford 100 Dental Care where Dr Jagmail Basrai provides cosmetic dentistry and smile makeovers for his Essex dental patients. Imagine your next visit to the dentist. Now imagine a completely stress-free appointment - an experience that children and adults alike can look forward to with complete trust. At the cosmetic dentistry office of Dr. Basrai aka Dave the Dentist , patients are treated to first class service, a relaxing atmosphere, and high-tech treatment options. Dr. Basrai offers the latest in cosmetic dentistry, restorative dentistry, neuromuscular dentistry, facial line & wrinkle removal , pediatric dentistry, sleep dentistry and general dentistry solutions for patients of all ages. Why should you make Dr. Basrai your smile makeover expert? Read tips on how to choose a cosmetic dentist. For London family dentistry like no other, trust your smile to Dr. Basrai and his dental makeover team. Call or email us today to set up your stress-free dental check-up. 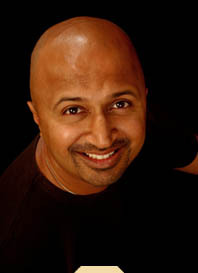 For more information about Dr. Basrai and his practice, visit http://www.ukcosmeticdentist.com/ and http://www.basrai.co.uk/. Dr. Jagmail Basrai is a trained cosmetic dentist. This website is meant to provide information about his cosmetic dentistry practice in Essex, UK. This site is not intended to provide dental or medical advice. Our dental practice serves patients from Essex and London, UK and surrounding areas. The dental gym - Where we work out your new smile!